If you were an English literature major, as I was, you might have been told that the first novel was written in1740 by a man named Samuel Richardson, and the (horrid) book was called, Pamela (or Virtue Rewarded). (If you’ve never read it, don’t. If you have, condolences. Not only is it in an epistolary style, its message is essentially, “if you are a woman who is raped, best that you just die in order to save your virtue” Nice!). The internet was only fledgeling at the time so I couldn’t do a quick Google search as I’ve just done to test my professor’s claim that this sniveling piece of work was the first novel, and perhaps it didn’t even occur to me to question him–I was a 19 year old girl, he a fifty-something, professor of English at university. But the next term, I took a class from a woman professor, also teaching lit., and we read Oroonoko by Aphra Behn. This novel was written fifty years before Pamela, and written by a woman. It was also written before Robinson Crusoe by Daniel Defoe, another book that is claimed to be the first novel (and sadly, a pretty darn tedious one–do we really need an item-by-item inventory of the chest Robinson finds floating to shore? Did they not have editors in the 18th century?). Of course Wikipedia now tells us Mort d’Arthur may have been the first novel back in 1485, so what is a reader to think? I guess we can come to the conclusion a) that human’s like to debate nearly as much as they like to eat, and b) people have been reading novels for a really long time. That’s good news for me, as I happen to love novels, and given 500+ years, novels have improved (see above re: Pamela). 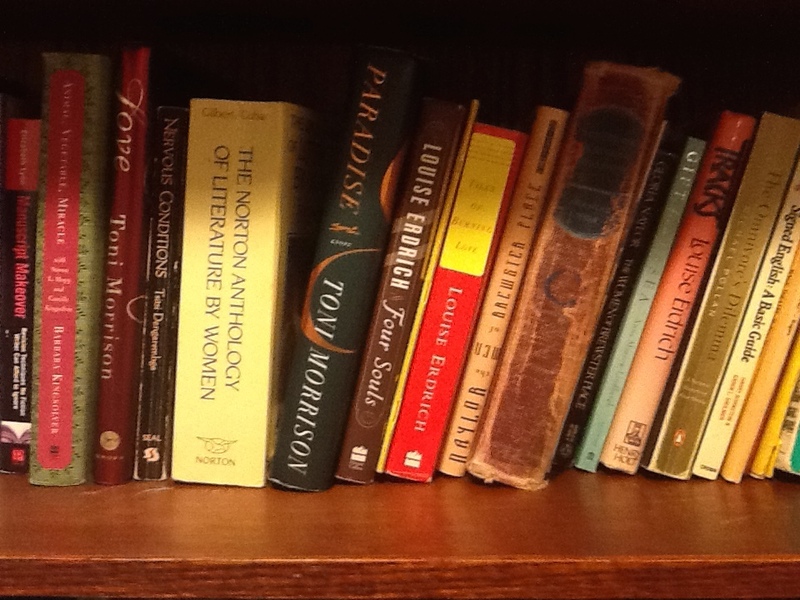 For literature, I love Toni Morrison and Louise Erdrich. For fantasy (my life-long love) I adore Patricia McKillip and Ursla LeGuin (because their writing is as good as the previously mentioned authors) and Garth Nix because he tells a wicked-good story–you have to in order to keep the interest of middle-grade readers! ← Are you cut out to be a writer? Take this quiz. I think that’s why I hate early stuff so much… if you’re a woman, you’re pretty much screwed. And spoiler alert: You’re NOT going to survive the end of the novel. I don’t really have a favorite author. I just read whatever looks interesting. I kind of have a block when it comes to reading popular stuff because I don’t like being told what to do. But I did love The Hunger Games, which I resisted reading for that very reason. Oh, and I love Harry Potter. Except I haven’t read JK’s other two novels. P.S. PRIESTLEY! Glad to see that’s stil on the ol’ bookshelf. Oooooooh I’m so glad you noticed Priestley!! I hope Mrs. Jackson sees it too!